In this article we will discuss how to e verify ITR , you may use EVC code (Electronic Verification Code) , Aadhaar or DCS (Digital Signature certificate) to e verify income tax return . The Income Tax Department starts processing your return only when it is verified. 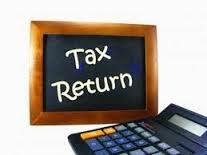 Refunds, if any, are processed for income tax returns which have been submitted and verified. If you could not e verify your ITR then you need not worry , you can sign ITR V (Acknowledgment ) and send to bang lore. The process of verifying an item electronically using Electronic Verification Code (EVC) or Aadhaar OTP or Digital Signature Certificate. Verification is mandatory to accept the items for further processing. EVC is a 10 digit unique alphanumeric code to confirm the identity of the person. The e-Verification can be used for the following items in eFiling portal of Income Tax India. Option of Login to eFiling portal is also available through net banking platform of various banks in India. Taxpayer having accounts with those banks (with their PAN attached with the bank account and the PAN is registered in eFiling portal) can login to eFiling portal through their Net banking (Please verify the link to eFiling option in net banking platform with the respective banks). After login to eFiling portal through net banking, Taxpayer can submit any of the listed items and it will be automatically e-Verified, (EVC will be generated and attached to the item automatically). Taxpayer can generate an EVC using Pre-validated DEMAT account details and the EVC can be used for e-Verifcation. Taxpayer must have linked their DEMAT account with eFiling account. Option to link the same is available under Profile Settings ⇒ Prevalidate DEMAT Account after login to eFiling portal. Taxpayer can generate an EVC through ATM and the EVC can be used to verify the listed items. “PIN FOR INCOME TAX FILING” option can be used in the ATM to generate the EVC. Taxpayer must have linked their PAN with the respective bank account and the PAN should be registered with eFiling for the same. Upon using the option, Taxpayer will get the EVC on the registered mobile number (Primary mobile number registered with specific Bank). EVC generated using this option is valid for 72 Hours. Currently this option is available for specific banks – Click here to view the list of banksTaxpayer can also generate EVC using Netbanking Login or Pre-validated Bank Account or Pre-validated DEMAT account under My Account ⇒ Generate EVC option after login to eFiling portal and it is valid for 72 Hours from the time of generation of the code. To generate an EVC through Aadhaar is done in two stages. Firstly, the taxpayer has to link PAN with Aadhaar through the e-filing portal. To know How to Link Aadhaar with PAN- Click Here. The taxpayer’s PAN credentials such as Name, Date of Birth and Gender will be matched with the Aadhaar credentials. On matching, the PAN will be linked to Aadhaar. Secondly, taxpayer has to opt for Aadhaar EVC. A One Time Password (OTP) will be generated by the Aadhaar authorities and sent to the Aadhaar registered mobile of the taxpayer. Using this OTP, the taxpayer would be able to verify the uploaded return. Digital Signature Certificate (DSC) is the electronic format of physical or paper certificate like a driving License, passport and so on. Certificates serve as proof of identity of an individual or organisation for a certain purpose on online / computer. DSC can be presented electronically to prove taxpayer’s identity, to access information or services on the internet or to sign certain documents manually. Step 3 Extract the downloaded DSC Utility ⇒ Open the Executable Jar File (DSC Utility) ⇒ Read the instructions carefully.